How do I create a DIY “crowdfunding” campaign using Shopify? Find us on the Shopify App store. We&apos;re free to install! First create an account, then you&apos;ll be directed to the Single Dashboard. This is where the magic happens. 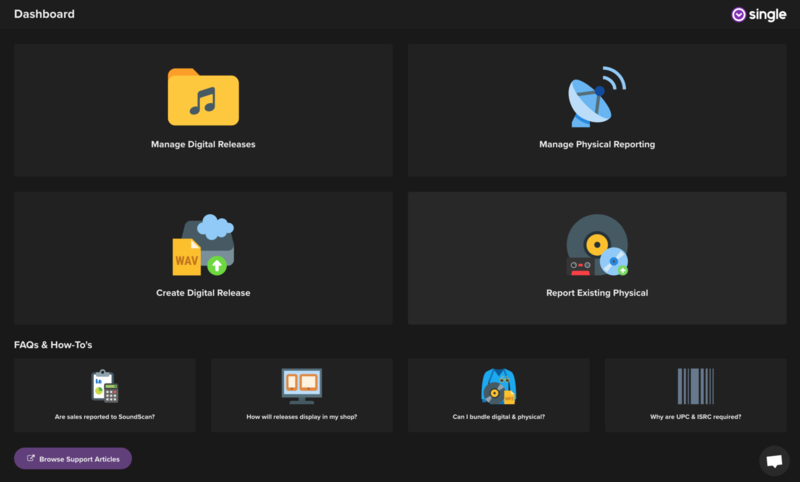 The left column is where you create & manage digital music, the right column is where you tag physical records for reporting. Get comfortable by creating your first release - don&apos;t worry, you won&apos;t be charged anything until your album is published and a fan purchases it. If you select "Attach to Existing Product", you&apos;ll be prompted to search for physical items that exist inside your Shopify store. This is how you create music + merch bundles. 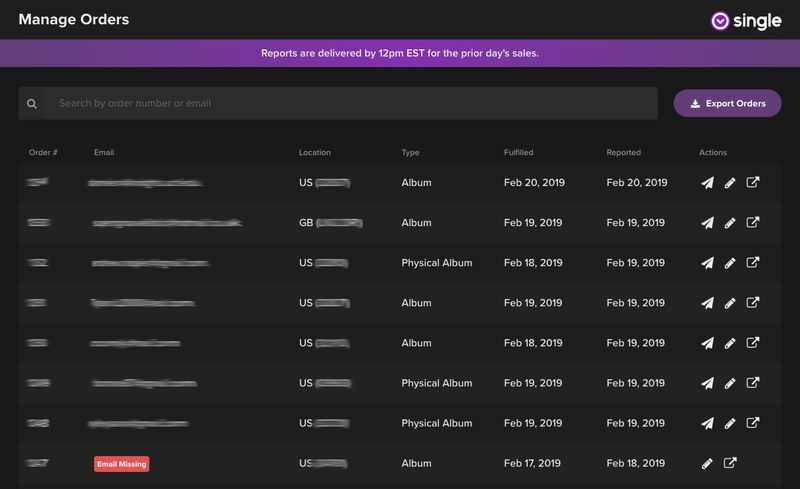 Single&apos;s automated system will report physical records you sell through your Shopify store. All you need to do is quickly tag the albums inside your Single Dashboard. We have a dedicated support team to assist fans who purchase your digital music. But for those who want full control, you also have the ability to edit customer emails and resend delivery emails. Learn more about order management in this support article. Thanks for trying out Single! If you questions beyond what we talked about here, reach out any time.